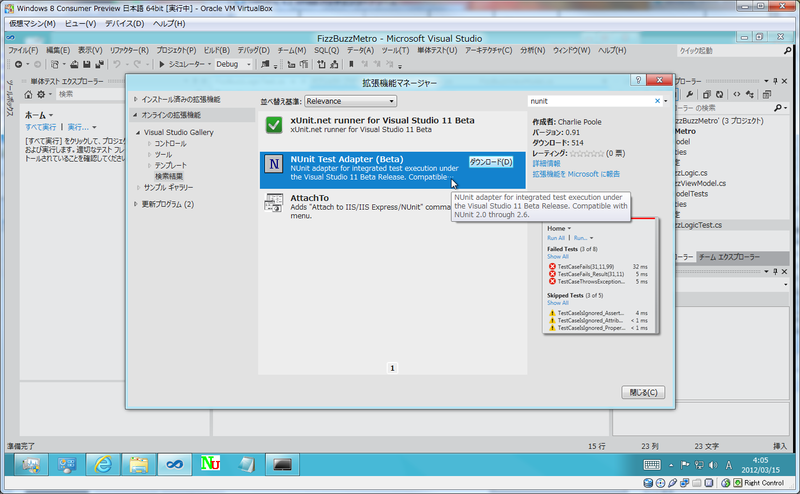 We've just released version 0.97 of the adapter, which is the release candidate for our first production version, 1.0. 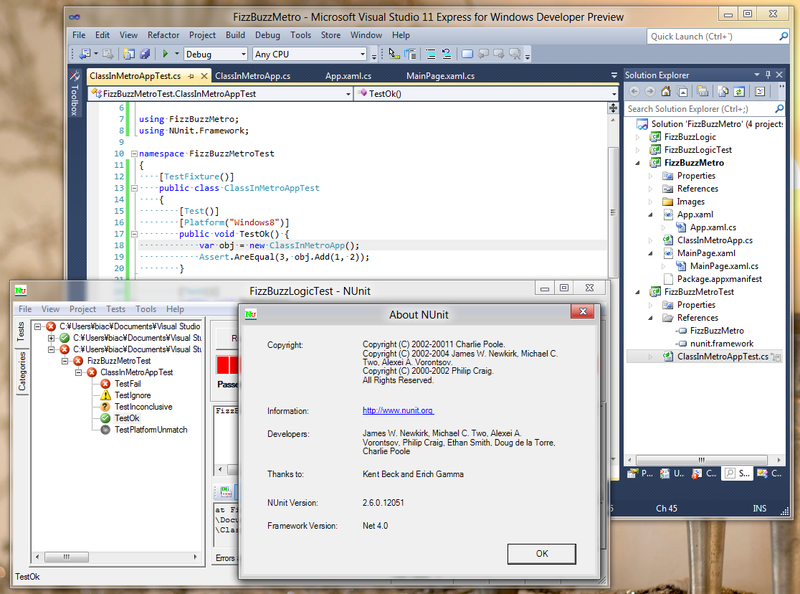 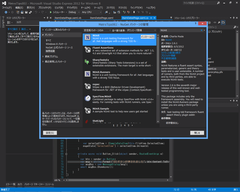 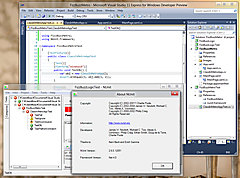 続きを読む "[NEWS] NUnit Test Adapter for VS 2012 and 2013 1.0 RC"
[NEWS] NUnit 2.6.2 リリース ～ async/await に対応! 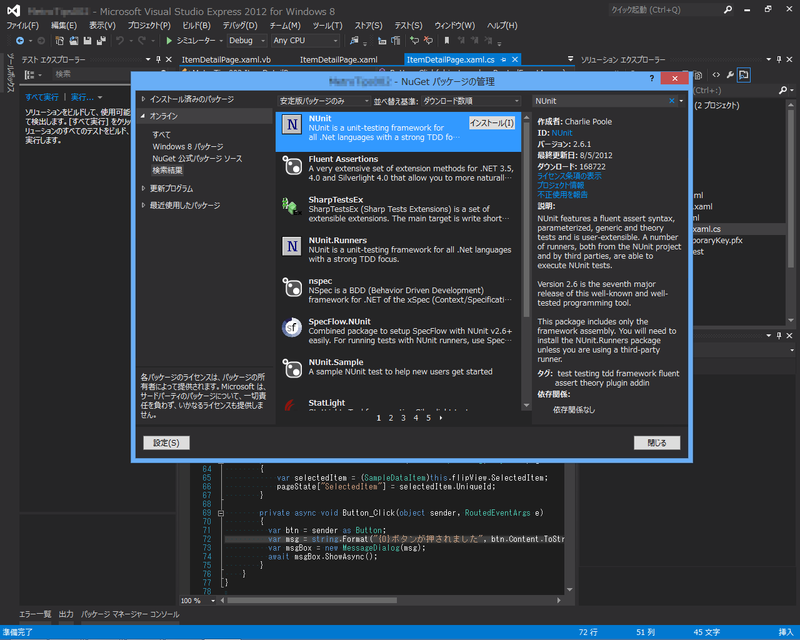 続きを読む "[コラム] Visual Studio 11 に統合できるテスティング フレームワーク"
続きを読む "[NEWS] NUnit 2.6.0 RC リリース"
続きを読む "[NEWS] NUnit 2.6.0 beta2 リリース"